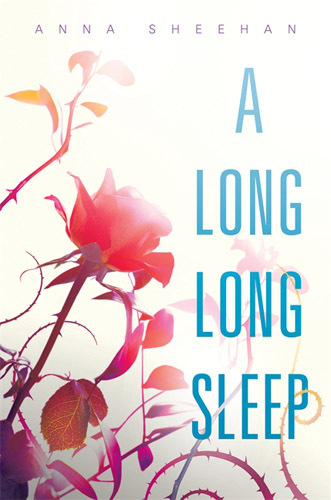 Rose Fitzroy has been in suspended animation for 62 years when she is awakened by the kiss of a handsome young man to a completely unfamiliar world in which everyone she knew before is long dead. I don’t much care for science fiction (SF), and I rarely read SF novels other than a few in the YA genre (I really liked both Inside Out and Outside In by Maria Snyder). In addition, I almost never watch SF TV shows or movies, other than Avatar, which is one of my all-time favorite movies ever, of any genre, because of the characters and their relationships with each other (and the flying!). I also greatly enjoyed Independence Day, again because of the characters and their relationships. I do NOT generally like passive heroines, and Rose objectively is very passive throughout most of the book, though it is well motivated and understandable because of the way she was raised and her health problems from 62 years in suspended animation. My personal taste runs to heroines who are active and have strong goals they are focused on achieving, no matter the antagonists opposing her. In contrast, most of this book is very quiet and internal. I cried, several times reading this book–which is not a plus for me personally since I normally don’t like “tear jerkers,” whether books, TV shows or movies. I also love a strong, clear romance plot where it is obvious who the love interest is. The romance in this book takes a back seat to friendship and isn’t the intense kind that makes the heart flutter. In spite of all of these issues that violate my own personal taste, this book is so well written, that I read every word, which I only do for about one book out of ten that I read these days, if that, because I’m an extremely jaded, picky reader. So what is it that I liked? The outstanding job the author does of portraying the issue of child abuse, writing a truly excellent example of a “social drama” YA novel. This story deals with a fascinating, and heartbreaking, situation of emotional child abuse. I’ll go farther and state (this is coming a bit from my past history of working as a family therapist and teacher) that in my own opinion, what Rose’s parents did to her with frequent, long internments in suspended animation was physical abuse as well. Putting a child in suspended animation for decades, with all the chemicals involved and the effects on the body and mind, just for the convenience of the parents? To me that is horrific, physical child abuse. In fact, in not-so-subtle ways, in my perception the author is providing social commentary on the current-day, ever-increasing trend in our country of parents being urged by medical and educational authorities–to the point of sometimes being legally coerced–into drugging their children, for the convenience of their various caretakers, into compliant passivity. Experts estimate that up to 5 million children (almost 10% of all the children in our country) are on mind-altering prescription drugs. That sounds an awful lot like the parental “coping mechanism” provided by the drugs in the stass tube described in this book. The author also takes on the “ripped from the headlines” social issue of multinational corporations and the ever increasing growth of the wealth of the very few and the poverty of the very many in our country over the past few decades–extending that through the medium of SF into multi-planetary corporations wreaking harm on billions, with the heroine Rose’s parents as head of the most powerful, and dangerous, multi-planetary corporation of them all, UniCorp. It is a tragic fact that when a human being has absolutely no compassion for his own child, there is little chance he will have compassion for any other living creature, and the author shows this social truth with intense clarity. Having stated that, it sounds like I’m praising this book for being a big lecture on ethics, but it’s not. All this information is in the background. The effect of these social evils are shown through the literary lens of one broken, but ultimately extremely resilient, abused teenager, without any preaching whatsoever. This is an amazing feat. As for the romance plots centering around friendship, as I experienced that portrayal of love, it became increasingly clear to me as I moved through the book that the author’s handling of relationships–something I treasure as a reader–is brilliant as well. There are times, yes, when the teenagers in the story are a bit too self-aware to be quite believable, such as when love-interest Bren is capable of standing back from a “codependent” relationship with Rose in which he tries to throw everything he has, as a loving, kind person, into the deep void of need in her created by her criminally neglectful parents. But even so, the way that Rose is able to create three absolutely amazing friendships with three male characters in this book is a wonderful accomplishment–one that is unprecedented in current YA fiction which focuses on romantic/sexual obsession more than tender emotion between heroines and their love interests. If I were to rate this book as SF, even as a non-fan, I would grade it down because the world-building is rudimentary at best. But rating it as a coming-of-age story, I give it the highest marks possible since, as stated above, the character growth and development are superb. Though this book does cover a harrowing subject, it does so in a way that makes it suitable for all ages. The age range for YA extends from age 11-19 according to YALSA (the YA portion of the American Library Association), and I would personally peg this book as appropriate for even pre-teens at the younger end, yet dramatically engrossing enough to hold the interest of teens at the oldest end of the scale.